So winter is right around the corner.. That means black, greys and browns everywhere. Outside, in food (comfort food, still jummy though..), in fashion and makeup. I wanted to show some of my favorite colorful eye-makeup looks you can wear all year long. I think these are great to wear in the daytime or for a night out. 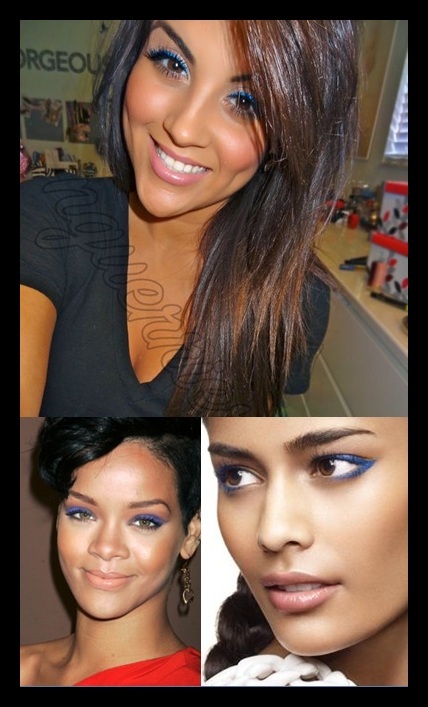 Especially if you're a big fan of the little black dress, this type of makeup will add some color to your partylook! My three favorite colors are green, blue and purple. These colors can be worn with each eye color, though experts match brown eyes with all three colors/ green eyes with purple or green/ blue eyes with purple.. But I really think it's just a matter of finding the right shade of these colors and experimenting with the amount of color you add to your eye.